In our last winter storm I was out in the elements crazily dusting snow off my vexed violets, cooing and fussing over them as they braved their way into early spring. Frankly, I’m fascinated with these lovelies, but I’m just another smitten suitor dazzled by their delicate beauty. Those charming vixens! Spring’s early seedlings of mystery wink and nod as if masked in shocking displays of purple isn’t enough, then they taunt us with their intoxicating scent and coyly retract it, leaving us begging for more. It’s true. These fragile beauties have a darker side, and as stellar leads in nature’s early chorus line, why shouldn’t they? Violets have the disarming ability to give it and take it away. They possess ionone, a cunning chemical that affects our olfactory nerves. After one enchanting whiff it derails our senses and inhibits our ability to recapture their elusive perfume. A disappearing act! Those Spring Teasers! 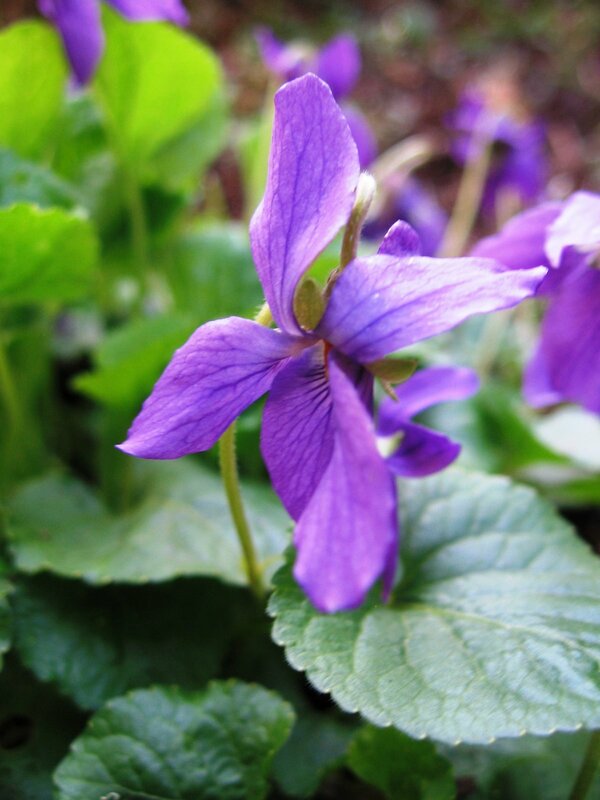 Throughout history Violets have been valued for their culinary and medicinal uses as well as their beauty and scent. Even Pliny recounts their power to ‘lessen anger and strengthen the heart.’ Today they are still used in healing poultices, easing inflammation and relieving bruises. 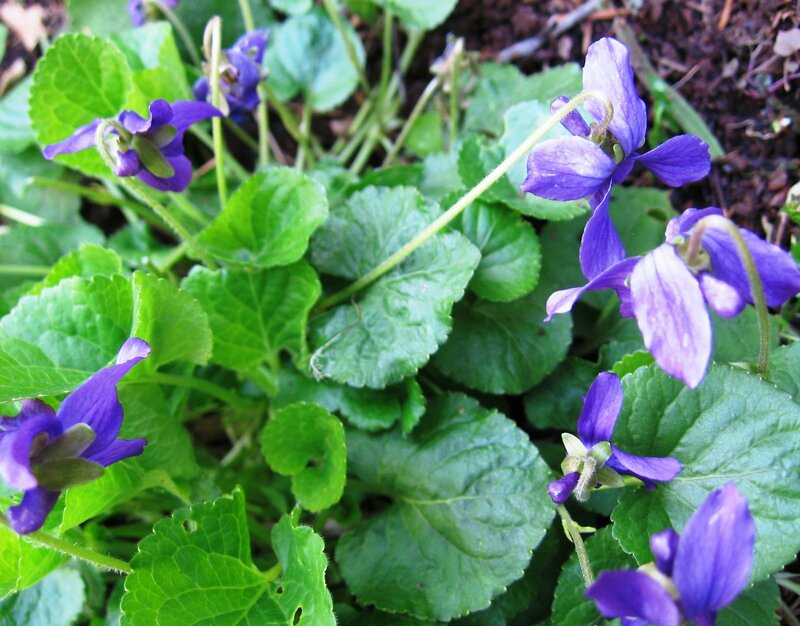 Clearly, these are no vapid underachievers, Violets have real strength and character. Sweet Violets, how I salute you! If possible prepare dressing 1 to 2 hours ahead to allow flavors to marry. For dressing, combine vinegar thru salt and pepper, whisk in oil; taste and adjust for balance. Next: Next post: Faith and Begorrah!